This stone is a medium soft stone that will carve and polish easily. 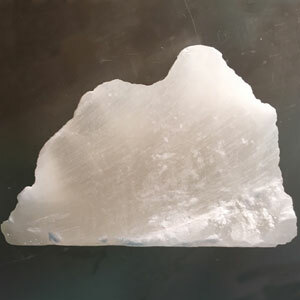 Translucent qualities of this stone appear when filtered by light. The darker spots are not flaws you see but rather shadows shaped by light hitting the unfinished stone's textured surface. Your monitor's color temperature settings may also cause a translucent piece to appear other than pure white.